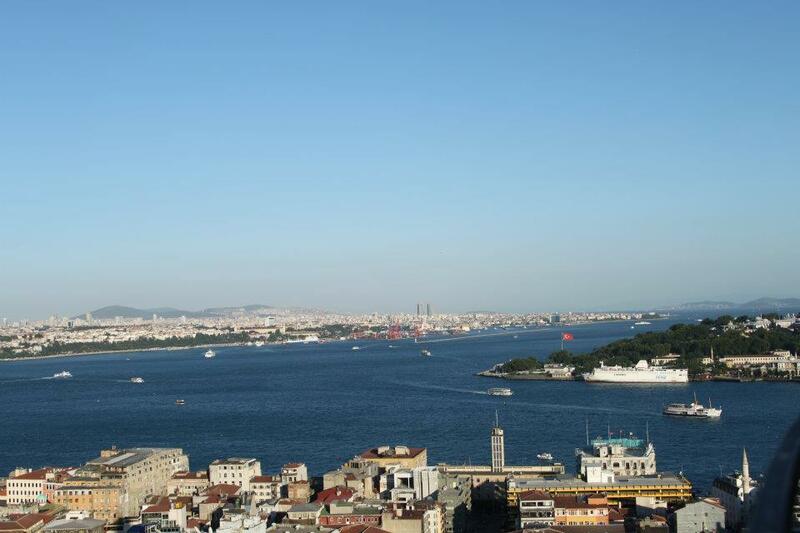 "If Earth was a single state, Istanbul would be its capital"
A visit to this city will give a feeling that you have lived through the history.. From the times of Emperor Constantine to Ottomans to Ataturk & to the bustling metropolis today. You would see charms of each of those phases here. EK 121 - Dubai Istanbul flight took about 3 1/2 hrs. We landed at the Ataturk International Airport ( Istanbul has two airports - So, be sure where your flight is landing ). As directed by our host Julien (https://roomorama.com/short-term-rentals/istanbul/galata/apartment/48437 ) , we could easily get the 30 minutes Airport Bus service Havatas to Taksim square. 10 minute Taxi Drive from there took us to our apartment. Bosphorus cruise is perhaps the most amazing experience this city has to offer. you can see a number of monuments experiencing the calm sea breeze and sipping a cup of Turkish Tea. Its a wonderful way to relax and enjoy after a hectic day. You would see the giant cruise ships , cargo ships and even some millitary ships docked at various points. You would see the trans-Bosphorus bridges linking Asia & Europe. Numerous mosques & star hotels are there on both sides. Day - 2. Princess Island trip , Grand Baazar & Galata tower. Princess Islands are a group of Islands in the Marmara sea. It takes about one and a half hour ferry ride from Istanbul. It is an idylic place where many Turks have built their second homes to relax. Grand Baazar is a place where you can find everything unique to Turkey. Ancient trading point between Europe & Asia .. and true to the ancient trading culture, unless you bargain, you will be taken in for a ride. Galata tower is an often neglected landmark in the city. 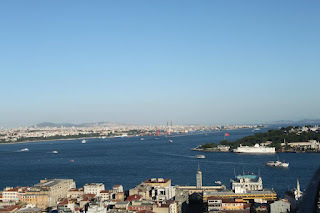 On top of this ancient millitary tower is where you can get the best view of the city - Golden Horn Peninsula with the Sultanahmet area, Bosphorus strait and the teeming city areas by its side. Day -3 : Spices Baazar , New Mosque & Return trip. I think apart from the historical significance, Spices Baazar may not appeal much to Indians because we are used to seeing those spices at one place or other..Next to the Spices Bazaar is the new mosque and the Galata bridge. You would see Turks engaging in their national pastime - Fishing along the Bosphorus..
We returned to the airport in the afternoon to catch return flight. Back home, as you sip various flavours of Turkish tea, the memories of this city come to your mind. As one of my favorite authors Orhan Pamuk remarked, "Real museums are places where Time is transformed into Space" .. and Istanbul is such a museum in its true sense.